Millennial decision-makers are less sceptical about printing and printed documents than those in other age groups and believe that paper documents will continue to play a significant role in the future workplace, according to the latest Print 2025 Spotlight Report: Millennials Matter. By 2025, one of the largest generations in history will leave the workforce as the last baby boomers reach retirement. They’ll be replaced by Generation X, millennials and those just entering the workforce, Generation Z. Already the largest generation at work, millennials are expected to account for approximately 75% of the workforce by 2025.Comprising those born between 1980 and the mid-1990s, millennials are not only the largest demographic in the multi-generational workforce, they are also the first to grow up surrounded by digital technology—smartphones, broadband services and social media. While millennials are shaping the digital workplace today and moving into leadership roles, Generation Z, born between the late-1990s and early 2000s, will play an increasingly influential role in shaping the future workplace. 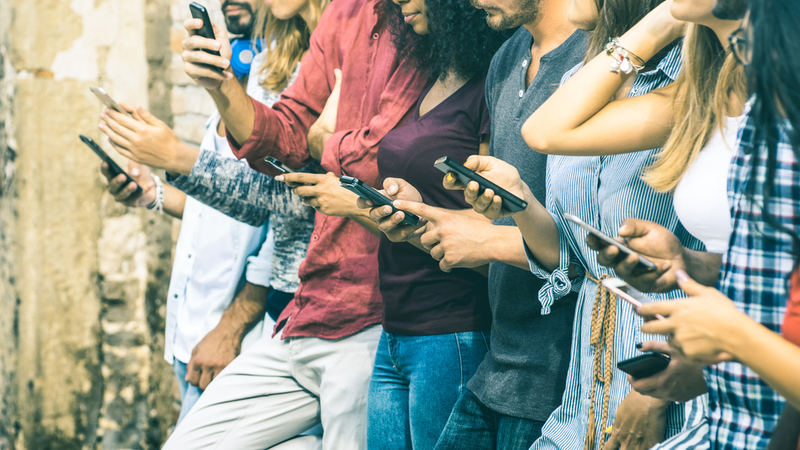 Together, millennials and Generation Z are demanding workplace technology that mirrors the mobility, simplicity and convenience of their personal lives. This digital native generation values the opportunity to collaborate securely from anywhere, anytime and on any device. So, what does this mean for the role of traditional office printing in the workplace? The Print 2025: Millennials Matter report reveals that, contrary to popular perception, millennial decision-makers will continue to place significant value on paper documents between now and 2025. At the same time they’ll demand major improvements in cloud and mobile printing solutions and services. However, this generation also recognises the importance of paper digitisation in their organisation’s digital transformation initiatives. While print is not disappearing, the role it plays in the digital workplace will undoubtedly change. The research reveals that overall 77% of millennial decision makers believe that print will still be important in 2025, compared with just 54% of respondents aged 45-54 years old. More than half of millennials believe that office print volumes will increase between now and 2025, with 55% expecting to see an increase in mobile printing. Overall, 69% of millennials think that important documents should be printed and 63% consider that printed documents are more durable than their digital counterparts. These findings challenge the perception that millennials are dismissive of print – in fact they are less sceptical of the value of print than the older generations. However, there is no room for complacency and, while the paperless office is not expected to materialise any time soon, digitisation efforts will continue to increase between now and 2025. Consequently, print suppliers must develop propositions that bridge the paper-to-digital gap, providing solutions that enable today’s multi-generational workforce to collaborate effectively – whatever their print/digital preference. Millennial decision makers have high expectations for their print suppliers, citing a need for improved capabilities around cloud printing, mobile printing and security. Notably, millennial decision makers expect the strongest relationship for print to be delivered by IT service providers rather than traditional print manufacturers and partners by 2025. This is a wakeup call for traditional players to reposition and adapt their offerings and build more IT expertise – either through acquisition or partnerships. The Print 2025 Spotlight: Millennials Matter Report contains crucial insight and actionable intelligence for organisations who need to engage with millennial decision makers. *Research note: The Millennial spotlight report is part of the Global Print 2025 study examining attitudes to print in the digital workplace from now to 2025. Please note that in this research, the millennials category may contain some Generation Z respondents. 83% of respondents were aged 25-34 at the time of the research; they had to be decision makers or influencers to qualify, which resulted in the majority falling into the upper end of the age range. What can the print industry learn from Tesla?